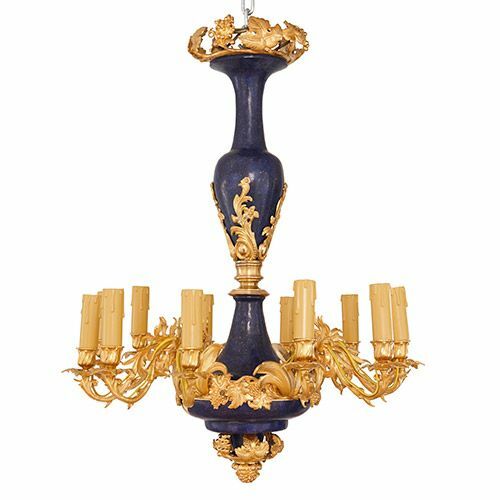 This magnificent French chandelier has been veneered in lapis lazuli and decorated with gilded metal, beautifully cast into fruiting grape vines. This antique French chandelier is an impressive piece of luxury design. 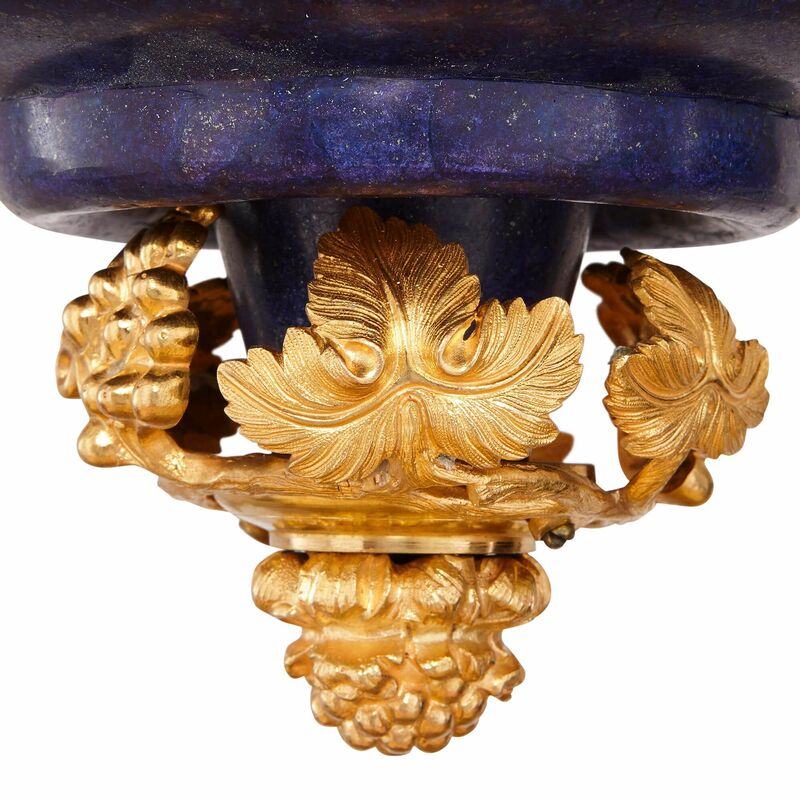 The stem of the chandelier is modelled in a form reminiscent of a classical vase, and has been veneered in the precious deep-blue coloured gemstone, lapis lazuli. 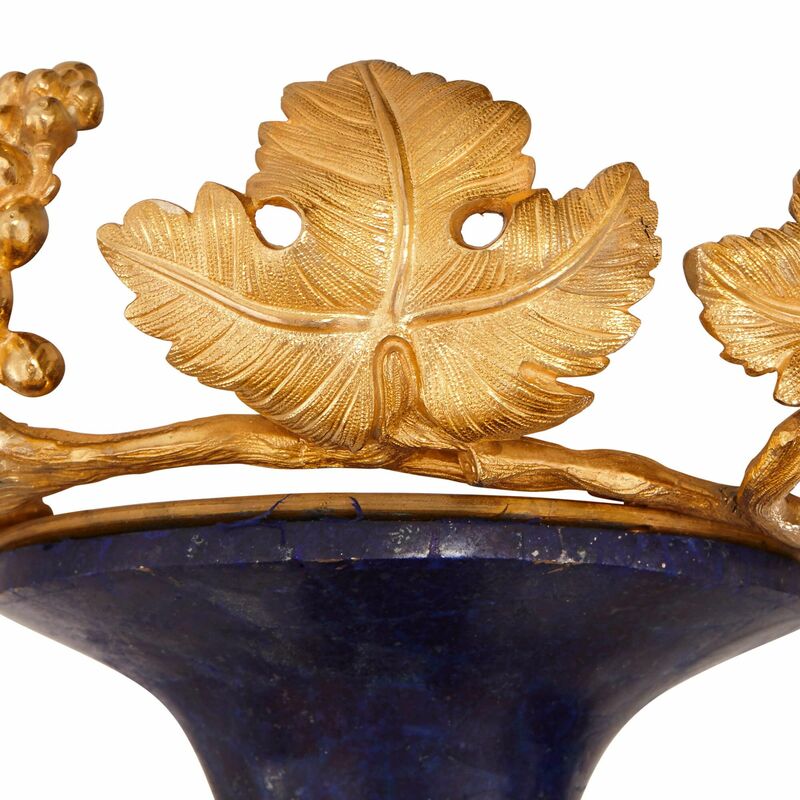 The stem and crown of the chandelier have been decorated with luscious fruiting vines, crafted from gilt metal. 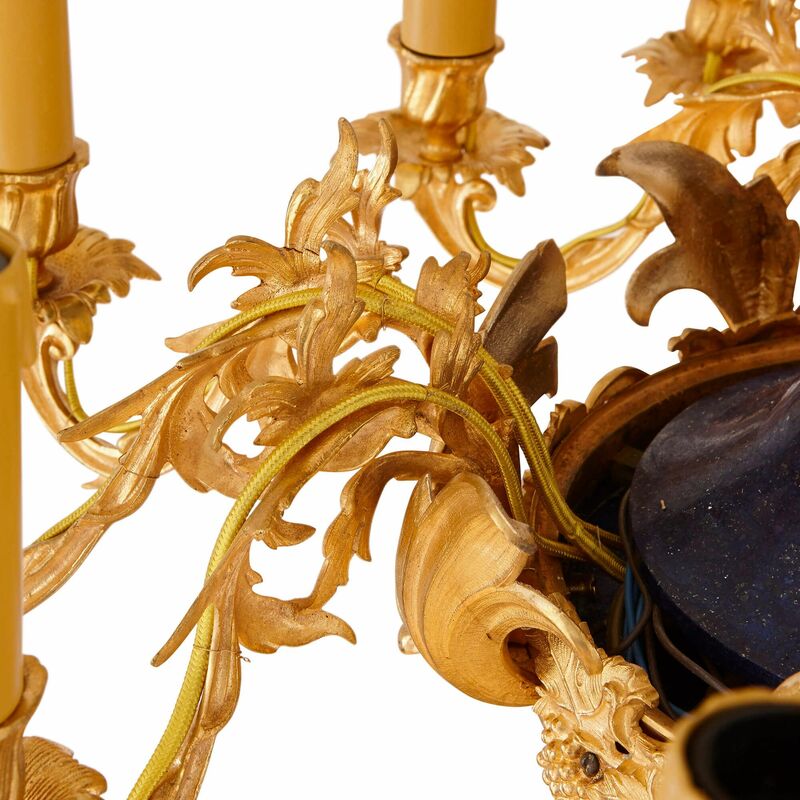 The chandelier's twelve lights are similarly modelled on grape vines, which bear fruit at the centre of the piece. Leaves wrap around the base of the object, and another ripe cluster of grapes hang down beneath. 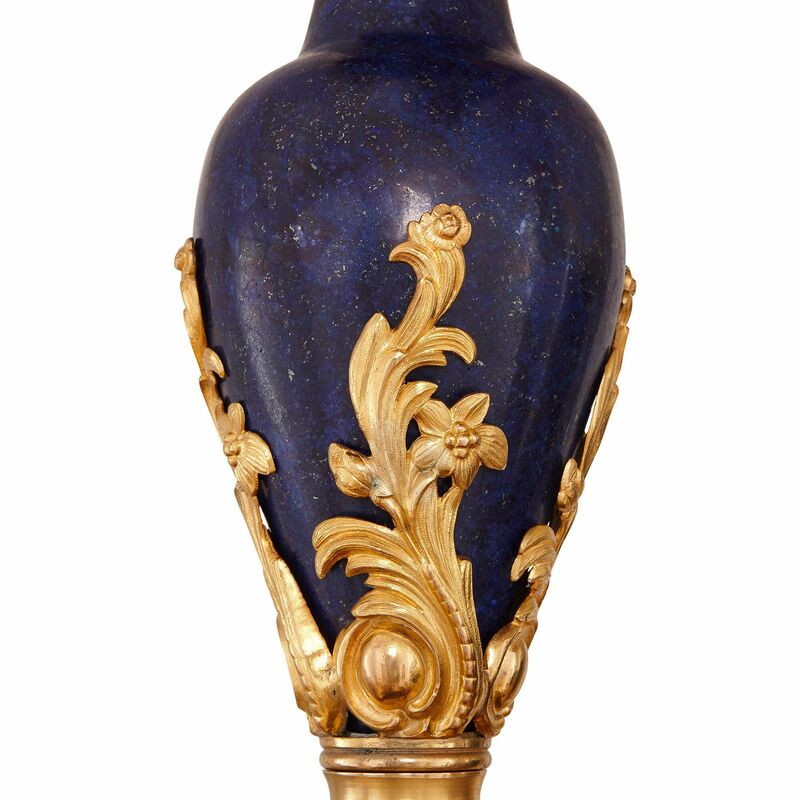 The intense blue of the lapis lazuli wonderfully contrasts with the lustrous character of the gilding. 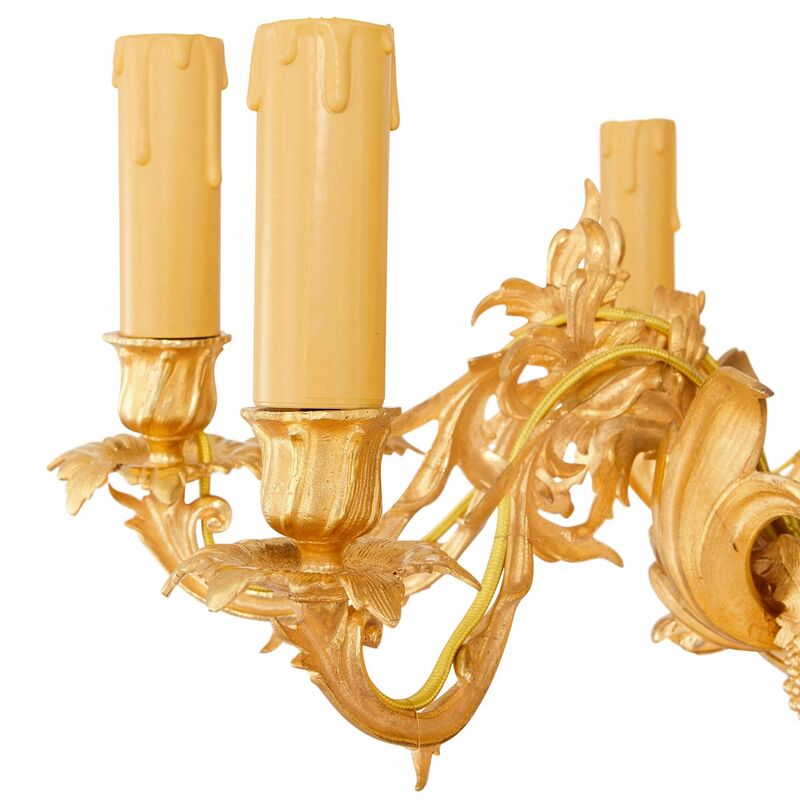 This gold finish will reflect the light emitted by the chandelier, further enhancing the beauty of the piece.